Unique historic location in the capital is an enduring and ever-increasing measure of real estate value. Gediminas’ Tower, the Palace of the Grand Dukes, the ensemble of Kirdiejai Palace of the 17th century, exceptionally beautiful Bernardinai Garden, Gothic St. Anne’s Church and Bernardine Church... Amidst these historic symbols of Vilnius, it is the most unique property for sale in the Vilnius Old Town. 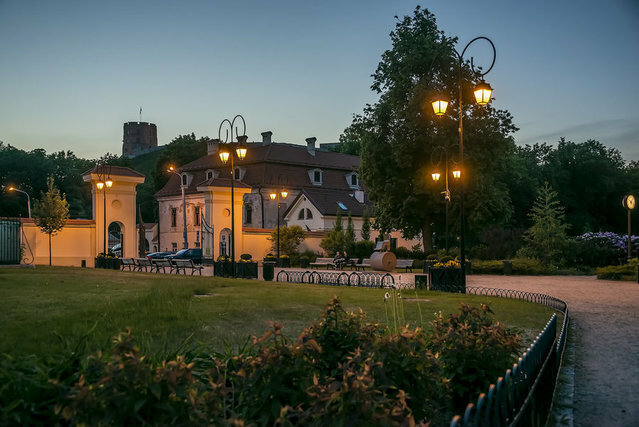 ‘Vilnius and Art’, which is full of the history of art, was the initial title of the building where the first private professional art gallery in Vilnius was founded in 1990 in B. Radvilaitės Street, near Bernardinai Garden. Nowadays the building houses the gourmet coffee house ‘Strange Love’, which inspired a bright, modern, and intriguing interior concept. Fully renovated in 2009, the building is a peerless combination of prime location, beautiful environment and refined atmosphere. Ample outdoor terrace on the second floor of the building crowns the charm of the property with a panorama of the flowers of Bernardinai Garden and the Hill of Three Crosses. Truly unique property for the connoisseur of life and a meaningful investment of timeless appeal.